Ganesh Conch is symbol of Lord Ganesha. Since centuries Conch is associated with the life of common man for various reasons like religion, Ayurveda, beauty and prosperity. 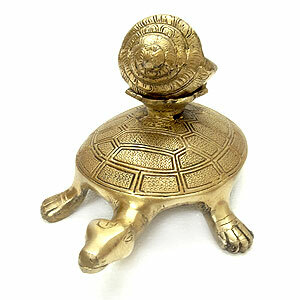 You can keep Ganesh Shankh made of brass in your locker. The house having this conch becomes permanent abode of Laxmi. 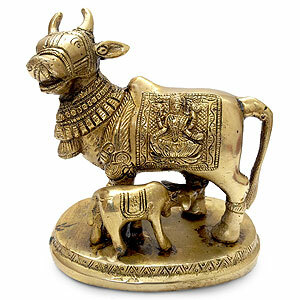 This is symbol of wealth and Laxmi. 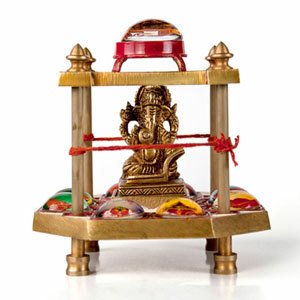 It is specially worshipped for pleasing Goddess Laxmi. The auspiciousness of this conch renders beneficial results and overcomes obstacles related to the prosperity of family and house. 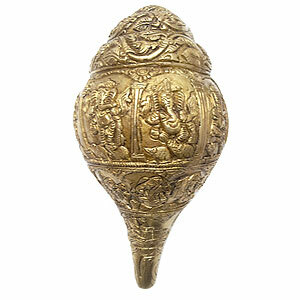 The speciality of Ganesh Conch is that the image of lord Ganesha is carrved on it. This can be given to some close friend or relative in the form of a gift. It shall help your friend to get rid of the obstacles. Fix or hang on the wall of North side. It shall result into an increase in grains. By cooking food at this place where it is located the food cooked shall be good for health and it shall overcome health problems. Ganesh Conch is highly beneficial for overcoming Pitridosha and delay in marriage. 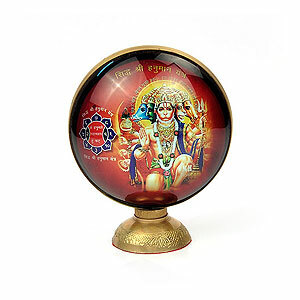 It also brings beneficial results like good health, blessings of Laxmi and issue comfort. Worship this conch on regular basis for overcoming obstacles and accomplish the pending tasks.